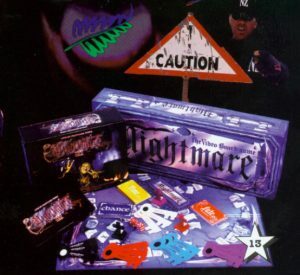 Nightmare the Interactive Video Boardgame (known as Atmosfear in international markets) was created by Australian creative Brett Clements, a prolific game maker (Brit/OZQuiz, RapRat) and was distributed internationally by Roadshow Entertainment. The game famously outperformed gross takings of Crocodile Dundee the movie as Australia’s leading entertainment export at the time, having sold over 3.9 million copies in 17 countries, in seven different languages. Four sequels were launched from the original game, as well as the new digital generation of the game, launched as Atmosfear. The game retains a cult following who are currently awaiting the release of Brett’s next game venture, a VR game. Kate used an edited version of the video in the game to create an interactive and theatrical sell in to the retail buyers. This novel approach and marketing plans delivered a great response from the buyers with orders exceeding forecasts. 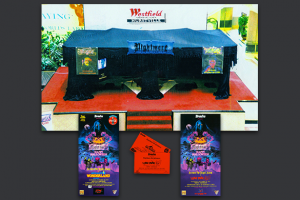 To promote the launch of the sequels, Kate conceived, designed and produced a ‘Nightmare Game Play Tent’, which toured shopping centres nationally on a weekly roster. The campaign delivered 300% ROI and won an AMI Award for Marketing Excellence (sales). Kate arranged sponsors for A/V equipment and prizes, managed the staff training and roster, hire vehicles, media and in store promotions. 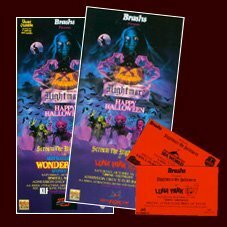 Kate also expanded the original Nightmare on Halloween Dance Party concept from a one off event at Wonderland, into a record breaking national event hosted simultaneously in theme parks across five states. Kate was responsible for all event management and production, event promotion and co-ordination with internal and external stakeholders, media sponsorship, talent and ticketing arrangements. The event campaign delivered a second AMI Award for Marketing Excellence, this time in the event category and established the Nightmare brand as a ‘cool’ game among it’s difficult ‘tweenie’ audience. Wanted Consulting works with executive management, usually on a referral basis. If you're seeking highly effective marketing expertise with creative and practical production skills, this is the resource you've always wanted.